"We hereby declare that the notified reports 1 (Yamaha) and 2 (Honda) are legally proved and constitute a convincing violation of Article 5, paragraph 1, of the Prohibition of Practices Law No. 5 of 1999 monopolistic and unfair competition. " The hearing before the KPPU headed by Tresna Priyana Soemardi, along with its members R. Kurnia Sya'aranie and Munrokhim Misanam, finally read the decision on Monday (20/02/2017). The KPPU's decision has certainly been a slap in the face of Yamaha and Honda since the initial trial of this case on July 19, 2016. It has been proven that Honda and Yamaha regulate prices or pricing of scooter motorcycles with a capacity of 110 to 125 cc for the period 2013-2014. They have been proven to violate Article 5 (1) of Article 5 of the Prohibition of Monopolistic Practices and Unfair Competition Act, 1999, which clearly prohibited the practice of cartels. "It is prohibited for a commercial actor to enter into an agreement with a competing actor to determine the price of an item and / or service that must be paid by the consumer or customer on the same relevant market." Regulation No 4 of 2011 of the KPPU Commission concerning Article 5 of the Directive explains that pricing is prohibited because it always produces prices well above prices thanks to fair commercial competition. This high price certainly leads to a loss for consumers, directly or vice versa. In conditions of healthy competition, the price of motorcycles will be lowered at costs close to those of production. When prices fall close to production costs, the market will become more efficient, leading to greater savings for consumers (improved well-being). After the decision of the KPPU, Honda and Yamaha of course not only noted the amount of the fine, but also strengthened their image in the eyes of the international community. 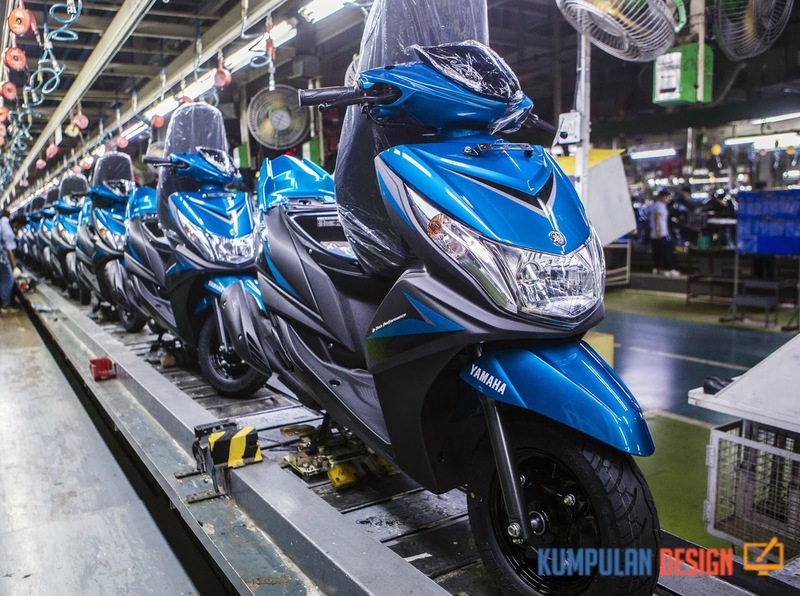 Some Yamaha and Honda scooter products have been subscribed to the export market. "Yamaha's commitment as a car manufacturer has been great and the atmosphere is very favorable for investors who want to invest here, but this decision will have an impact on the export process," said Rikrik Rizkiyana, Yamaha's lawyer. at the KPPU office. "What is to be feared is that in the future the country of destination thinks that the goods sent are the result of an agreement. KPPU should be able to think more about these impacts and pay more attention to evidence that its nature is not a hypothesis, "added Rikrik. At the same time, Andi Hartanto, managing director and general secretary of PT Astra Honda Motor, said he would consider further legal efforts after the KPPU decision. "It's not the end result, it's just their opinion (KPPU), who investigated them and decided on their own, although the fine we received was 10% lighter, we are not satisfied, "said Andi. The verdict. Honda and Yamaha can not accept the KPPU verdict and can appeal to the District Court or higher. However, apart from the question of the judicial procedure which will remain long in the case of the cartel of scooter engines, it is not wrong to look at the case of the previous cartel managed by KPPU, such as the tariff by SMS.